Our cup wheels are installed on grinders to provide aggressive stock removal. Soft bond, medium bond and hard bond is available for your convenient use in floor preparation work. 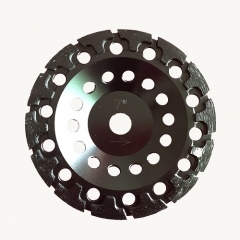 Arrow segment type is designed for fast and aggressive grinding of concrete & masonry applications.